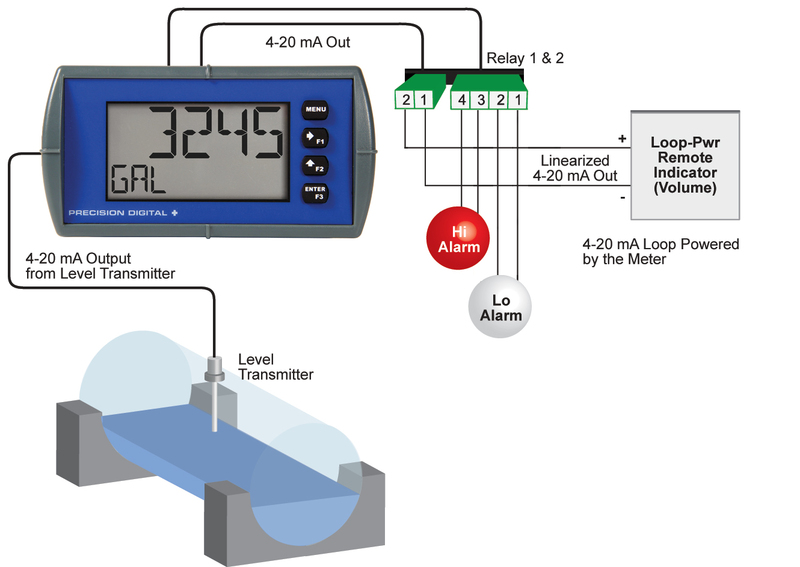 These loop-powered meters can be installed virtually anywhere because they get their power from the 4-20 mA loop and therefore require no separate power source. And they only drop 1.5 V (4.5 V with backlight), so they add very little burden to the loop. 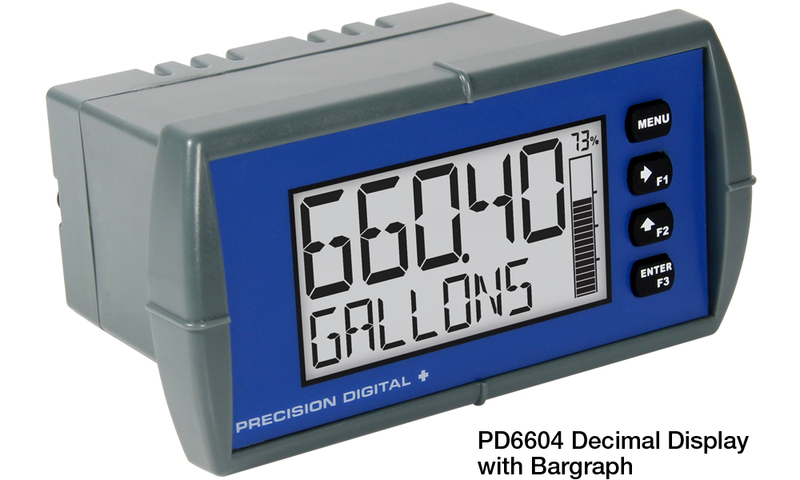 Additional features that allow these instruments to be installed virtually anywhere include a NEMA 4X, IP65 front panel, an operating temperature range of -40 to 167°F (-40 to 75°C) (for safe area products), conformally coated PCBs, and a backlit LCD that can be read in bright sunlight or dimly lit areas. Finally, there are intrinsically safe and nonincendive versions of these instruments that can be installed in hazardous areas. The Loop Leader’s display provides multiple ways to help users understand and keep track of their processes. 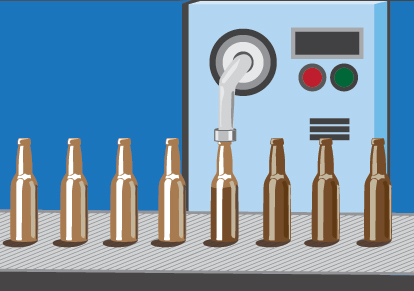 The most obvious is the dual line which typically allows the user to display a numeric value of the process variable on the top line and units and/or a tag on the bottom line. There is also a bargraph that includes a numeric value of the percentage the bargraph represents. 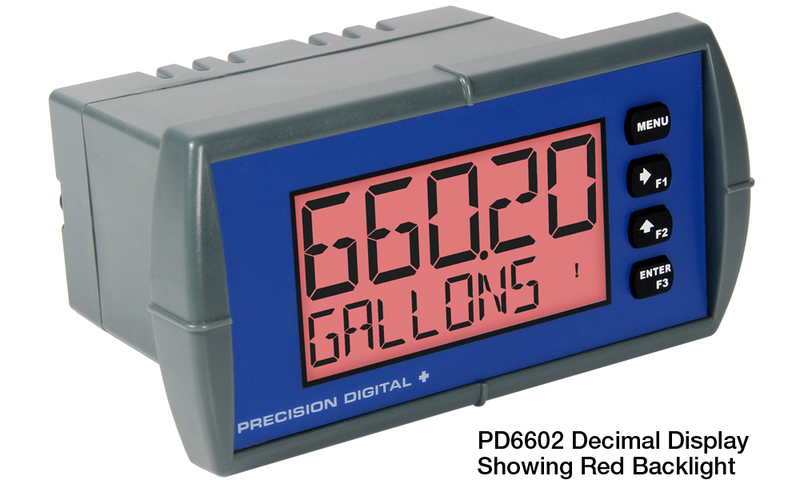 Finally, to alert users to an alarm condition, the display can turn red and flash an alarm message. To help users get a quick understanding of where their process is at, certain Loop Leader models are available with a 20-segment bargraph. This bargraph also includes a numeric value of the percentage the bargraph represents. To help users get a quick understanding of where their process is at, certain Loop Leader models are available with a 20-segment bargraph. This bargraph also includes a numeric value of the percentage the bargraph represents. The bargraph can be programmed to represent the percent of PV1 or PV2 or it can be scaled to any range within the scale. 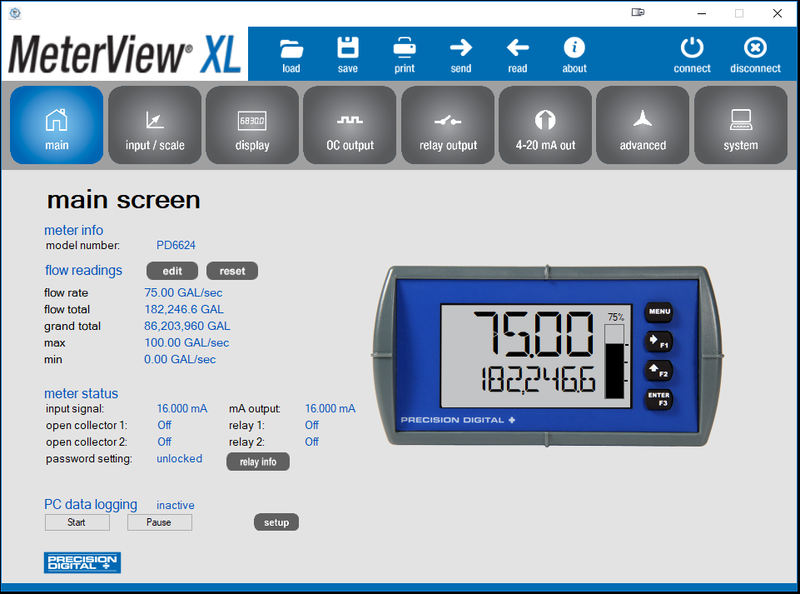 There are Loop Leader models available for users that prefer to see their level displayed in feet & inches instead of decimal format. These versions can display level to 999FT 11IN & 15/16 on the top line. The bottom line can toggle between a tag and units or if dual scale mode is used, can display the input in a different scale such as volume. The tare function zeroes out the display. In the case of scale weight, tare is used to eliminate container weight and provide net weight readings. The captured tare may be reset manually with any function key or digital input. 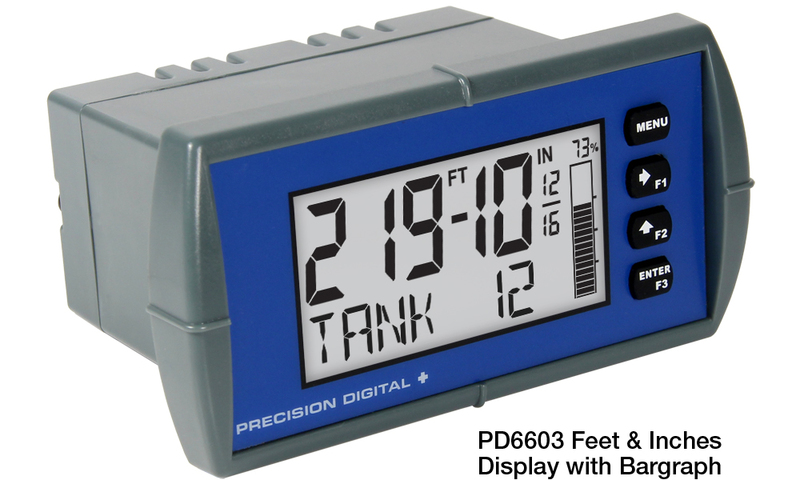 When an alarm occurs, the Loop Leader’s display can be programmed to turn red and flash an alarm message along with the process variable and an alarm indicator (!). 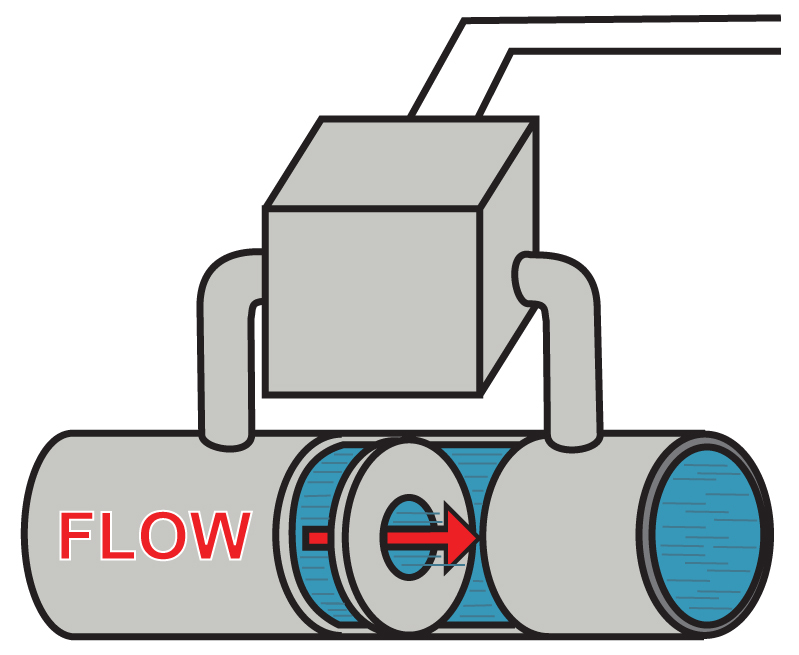 (Alarm indicator symbols are not available on bargraph models) The Loop Leader’s flashing red alarm message can be activated even if no relay or open collector is connected. Loop Leaders are available with two open collector outputs as standard and two solid state relays and 4-20 mA output as options. 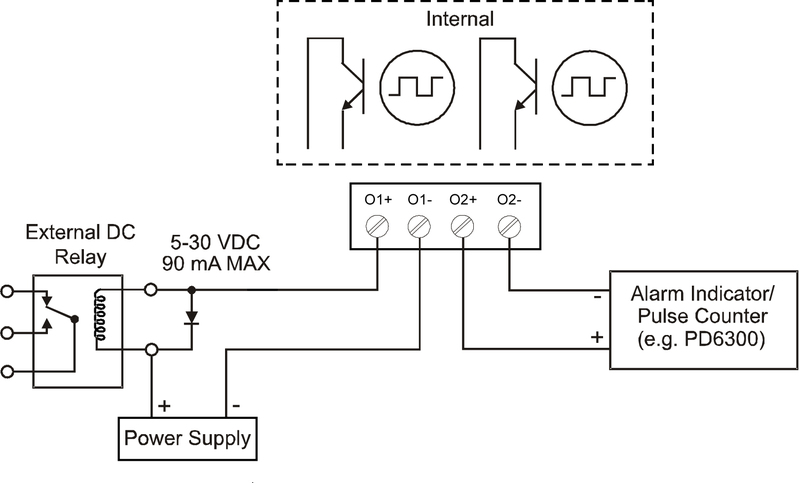 The open collector outputs and relays generally operate in the same manner, with the major exception being the open collectors are not available for pump alternation and the relays are not available with pulse features. The open collectors and relays can be controlled either automatically or manually. The alarm status (with flashing red message) will show on the display even with no output wired. The Loop Leader is equipped with two NPN open collector outputs that may be set up for pulse outputs, alarms, timed pulses, stopwatch on/off, or disabled. Pulse outputs can be set to transmit the PV value (PV1 or PV2 if meter is in dual-scale mode). Output 2 may be used to generate a quadrature output based on the other open collector output. 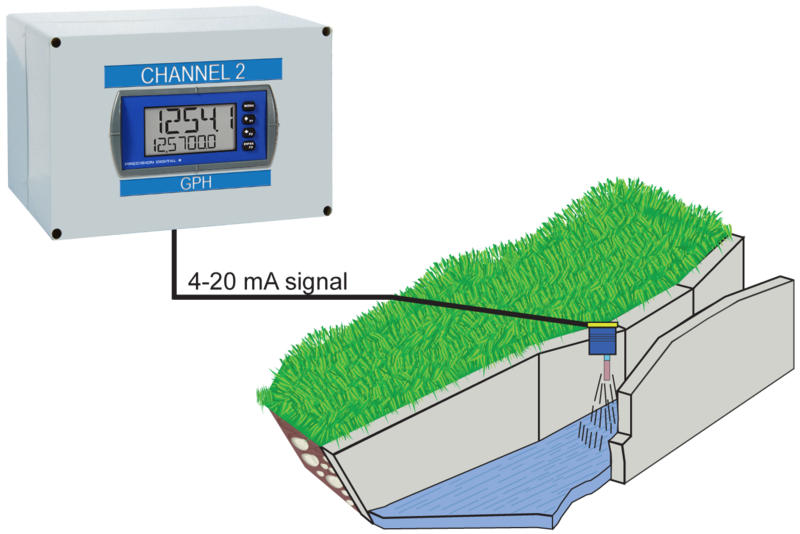 An output test mode is also selectable to generate pulses at a constant programmable frequency. The meter is optionally equipped with two solid state relays that may be set up for alarms, timer, stopwatch on/off, or pump alternation. The relays are rated at 250 VAC/DC @ 1 A for resistive loads and 75 VA @ 0.6 A, 250 VAC/DC max (Safe Area only) for inductive loads. Alarms are available based on the PV value or the digital input. The Loop Leader, with its two solid state relays, can be used as a loop-powered relay alarm trip. The Loop Leader’s two relays can be programmed for two different kinds of latching operation: Reset via momentary contact closure at any time or reset via momentary contact closure only after the alarm has cleared. And the Loop Leader's display can be programmed to turn red and flash an alarm message – something not found on most loop powered alarm trips. The isolated analog output signal can be configured to represent the process variable (PV1, PV2, or retransmit). 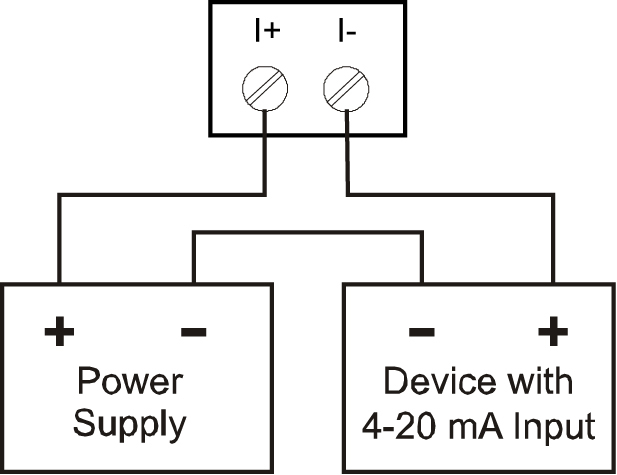 While the output is nominally 4-20 mA, the signal will accurately accommodate underand over-ranges from 1 to 23 mA. The output can be reverse scaled such that the meter’s high calibration value outputs 4 mA and the meter's low calibration outputs 20 mA. The connectors' label, affixed to the meter, shows the location of all connectors available with requested configuration. 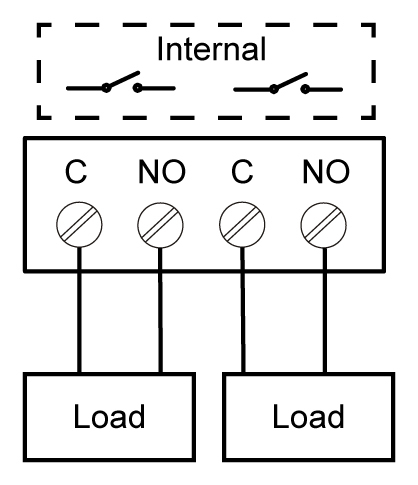 Relay connections are made to two four-terminal connectors. Each relay's C terminal is common only to the normally open (NO) contact of the corresponding relay.